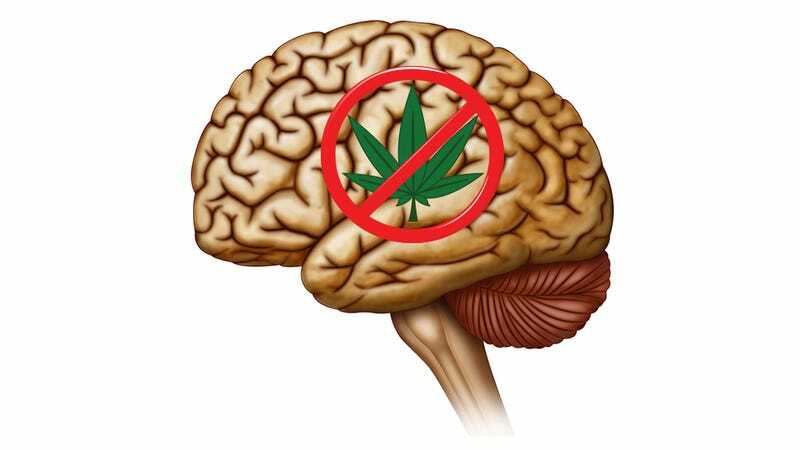 Marijuana may make you feel nice, but according to new research, your brain may not want to go along for the ride: turns out, when your brain senses THC, it produces a hormone that counteracts the drug's effect. Buzzkill. The hormone, pregnenolone, is the precursor of all the naturally-occurring steroids your body produces. While it was long thought to be inactive, a team of French researchers discovered that pregnenolone specifically inhibits the type-1 cannabinoid receptor, your brain's main receptor for THC. Moreover, when the researchers gave large doses of THC to mice, they observed a substantial increase in pregnenolone production, reducing the drug's effect.